Dr. Mike Moran attended Cornell University and obtained his B.S in Neurobiology and Behavior in 1995. He then followed his love of music and adventure to California where he played in local bands, opened a popular San Francisco bar, and attended the UC Davis School of Veterinary Medicine, graduating in 2002. After practicing in San Francisco for ten years, he and his ever expanding family moved to Louisville, Colorado where Dr. Mike joined the Animalhouse Veterinary Clinic as the chief veterinarian. After five years he moved on to follow his dream of practice ownership and the integration of his medical and artistic talents. Dr. Mike has appeared on radio and TV, most notably as the consulting vet to the show MythBusters while practicing in San Francisco. He also appeared in a national pet food commercial, has played numerous music venues and continues to write and perform live music whenever given the chance. He enjoys fly fishing, snow sports and hiking. Dr. Mike lives in Louisville, Colorado with his wife, four children and their zoo. For many of us the human-animal bond may be the most significant relationship we have in our lives. It is certainly the only time we can truly experience unconditional love. In caring for a pet, a life long covenant is created between the guardian and the animal. My role is to help be the spokesperson for those that cannot speak, to help them realize the utmost in quality of life, and to guide their human counterparts in caring for them throughout life. Practicing preventative medicine, understanding the bond, and putting compassion and quality first are my goals. It is an honor and a privilege to help you on this journey! Do your fur kids get stressed traveling to the vet hospital? Do you dread wrangling your cats into carriers? Let our team make it worry free. History taking and physical exams are often best done in the “natural” environment. Get high quality compassionate care delivered to your door! Annual wellness exams are the cornerstone of preventative medicine. Nothing beats a thorough physical exam in terms establishing a baseline of overall health. Dr. Mike can discuss pros and cons of vaccines, parasite prevention, routine lab work and age related issues. Nutrition and weight management will also be assessed. Whether it is your first pet ever or just a new addition to the fur family, Dr. Mike can answer your questions. The first six months of a puppy or kitten’s life is a rapidly changing critical period. Nutrition, training, and developmental health milestones will be addressed. Having to decide when it is time to say goodbye is one of the most agonizing and difficult decisions any of us will ever make. Dr. Mike and his team will guide you in finding ways to improve the quality of life of your pet, and help you recognize key signs and benchmarks for assessing their overall wellbeing. We can be there to perform humane and compassionate euthanasia in the comfort of your home when the time comes. Dr. Mike is passionate about pain control! He is currently seeking his pain management certification and would love to share his knowledge. Dogs and cats do not show pain in the same way as humans do, though we know they feel with same neural pathways as people. Whether your pet is post operative or has a chronic condition, being pain free is a priority. The Moran Veterinary Care team uses a multi-modal approach to managing pain. This may include medications, neutraceuticals, laser therapy, acupuncture, and physical rehabilitation. As our pets age, their needs change, but being happy and comfortable is a constant. We can help you with age related conditions (arthritis, incontinence, senility to name a few) as well as prepare you for what to expect as he or she gets on in years. Quality, not quantity, is given priority. Have the puppy kisses turned into garbage breath? Dental disease can be a serious health issue. Dr. Mike can give you tips and tricks to improve dental health as well as determine if and when your pet needs a dental cleaning. Prevention is key and it is never too late to start! From diagnosis and treatment to palliative and hospice care, Moran Veterinary Care can help you navigate the specialized field of oncology. Dr. Mike has been using chemotherapy and alternative cancer treatments for over fifteen years. Many people do not realize the difference in the approach to cancer treatment in veterinary versus human medicine. Dr. Mike would be happy to share his professional and personal experiences in dealing with dealing cancer. It can be very difficult to observe undesirable behaviors in a clinical setting. In your own home your pet may reveal triggers that we may not otherwise visualize. Moran Veterinary Care can help with consults ranging from puppy training to anxiety and aggression. A systematic reinforcement approach is recommended, though occasionally medication may be prescribed to help with training. Dr. Mike Moran has a keen interest in the use of diagnostic ultrasound. He trained under some of the leading board certified radiologists in the field and has accomplished numerous continuing education courses in ultrasound. This non invasive, pain free diagnostic modality is one of the most useful tools in our medical repertoire. When a professional makes a recommendation, be it a surgical procedure, a medical treatment or philosophical approach, you must trust the individual before embarking on that journey. Dr. Mike has long been a sounding board for those seeking a second opinion in regards to medical decisions for our non human companions. He has cultivated a long list of expert colleagues in a wide breadth of veterinary fields that he can call upon to help increase you knowledge base before pursuing a recommended approach. Being informed allows all of us to feel comfortable and confident in choosing what is best for our non verbal friends. 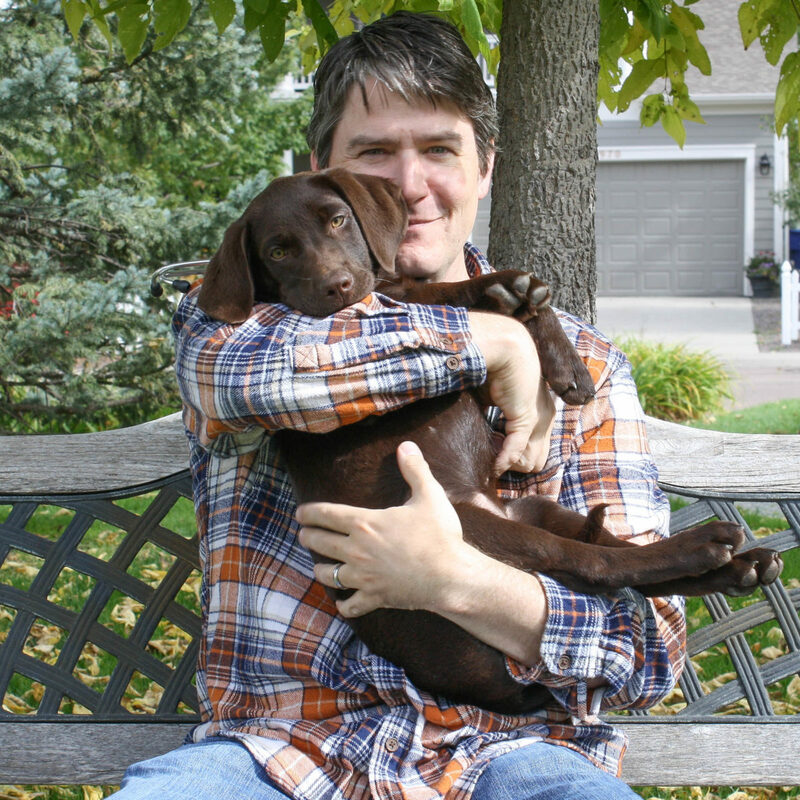 Dr. Mike Moran has over 15 years experience in the veterinary field and he is available to help your clinic be the best it can be. Dr. Mike is personable, easily adaptable, and highly skilled. Clients will be extremely satisfied with his attentive thorough care and your staff will enjoy working alongside him.